Whilst I think of myself as incredibly disorganised, I’ve often been told that I am, in fact, organised. When it comes to blogging, there are a few things I do in order to make sure I have control over all of the upcoming things on my blog. I have thousands of notebooks where I write down all of my blog post ideas, schedules and plans. I find it much easier to get ideas from my head on to paper than to write them down electronically, and I can arrange things easily too. Even though many of my notebooks are incredibly messy, I love seeing the progression from post to publish. It’s amazing how a tiny scribble can turn into a full-fledged post! Having some form of calendar or diary to write a schedule into is organisation at its best. Without mine, I wouldn’t have any idea when to put posts live and it’s also handy for blog tours, projects and Twitter chats. I know people who use Google Docs as a good calendar; I prefer to write big monthly calendars onto an A3 piece of paper, but I do occasionally use the calendar in my phone. Whether for the blog or to post on Instagram, I love taking advantage of a sunny morning and taking photos all in one go. Then I can edit them later and they’re ready to upload! Spend one day a month focusing entirely on your blog, an afternoon a week commenting on blogs, or a weekend scheduling posts. Time management is key when blogging! Whilst Twitter is fun, it’s not always productive. Allocate yourself a set time, turn off any distractions, and get your blogging done! Create your own routine and figure out how you work best. Don’t force blogging or it will come across in your posts! Organisation is something all of us lack at times, so making sure you know when your productivity levels will be highest will hugely benefit you. How do you make sure you stay organised? Thanks for the tips! I’ve just started this whole blogging thing and it’s completely unorganized. I hope to to change that in this new year! Thank you so much for doing this post, Lucy! I have so much trouble trying to keep up with my blog! 🙂 This has helped a lot! Um, honestly I’m organised chaos when it comes to my blog – I kind of have ideas for posts… but they turn into posts normally within a few days. Rather than writing things down I think about them a lot when I’m out and about – sometimes I’ll even start writing them in my head. But at the same time it does mean I very rarely know what the next week of posts will look like – my blog can go from review after review after review to discussion / newsy post to another discussion / newsy post to another one – oops! I have a word doc and whenever I need to do something but don’t have the time in the moment, I write it all down. This works for me because I check it regularly haha! I really agree on notebooks but I don’t do it for blog posts; i do it for reviews. A lot of the time, i’ll be reading two books at a time and it gets so confusing if I don’t write a whole bunch of review notes. I don’t. I’m not organised in the slightest… in any aspect of my life. I prefer to take blogging as it comes. When inspiration strikes me, or I want to write a post, I will. I had a schedule for a bit but I felt out of touch with my blog and other bloggers in the midst of it all and found that I much rather post in the near and present. These are really good tips! 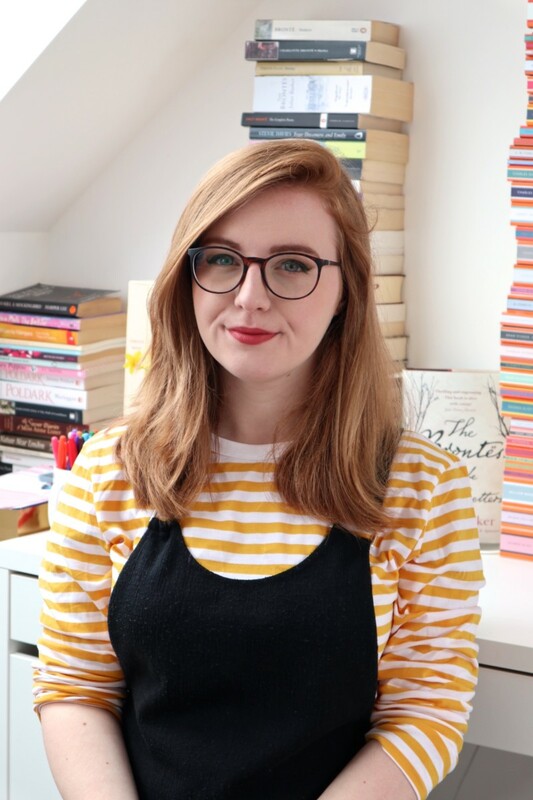 I’m trying to be more organised with my blog this year and although I haven’t changed anything (literally anything. The only thing I do is jot down a post idea every now and then) I feel slightly more on top of things. When I have a day to myself or on nights I can’t sleep I love to write up a few posts in advance so that they’re ready to post if I’m lacking inspiration or creativity. For reviews, I write those up as soon as I’ve finished the book so my thoughts are fresh in my mind and I don’t get bogged down under a pile of books labelled ‘to review!’ hahaha. Thanks for the tips 🙂 Love your blog! Natalie @ Flowers in my Books recently posted…to love is to destroy, to be loved is to be the one destroyed. This is such a great post! Most of my ideas start off in draft form in one of several notebooks as well (or on my phone), but I really need to get a calendar to schedule in all my posts! Laura recently posted…What do you look for in a book blog? I try to be very organized when it comes to blogging, because gone are the days when I had oodles of time to devote to it. I love your suggestions – especially the one about taking a few photos around the same time that can be used for different blog posts. These are great tips. Personally, I have about 230948702938 notebooks (nope, that’s not an exaggeration – probably ;)) that I use to take notes for pretty much everything in my life, from blog posts to class notes to writing ideas to musical riffs. People generally consider me a pretty organised person – but without my notebooks it would all go to pieces, I can assure you! I always have a notebook handy to write down an idea for a post, but I write the actual post on my computer. My handwriting is pretty bad so I probably wouldn’t be able to write what I wrote. I use Google Calendar as my calendar. I used a paper calendar before this, but I am pretty happy with an online calendar now. 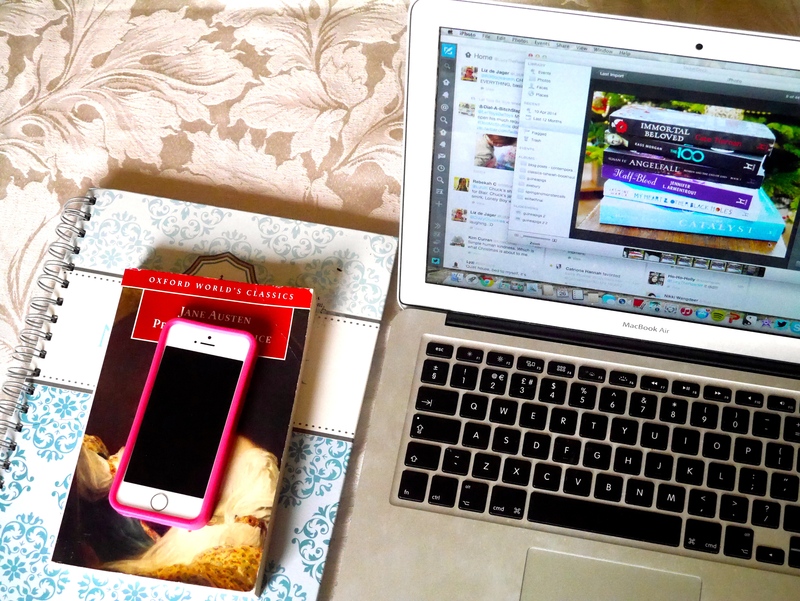 Great post and it;s fun to see how other bloggers stay organised.